"Black VPN Review By Sara Torres"
One of the biggest concerns people have when they choose a VPN is whether or not the company registers their information. But with BlackVPN, I've never had to worry about the records. BlackVPN does not have DNS records, does not maintain traffic records and does not even have connection records. However, it maintains your email address and payment history. Best of all, the company offers servers in different locations around the world, including the United States, Canada, Brazil, Romania, Russia, Ukraine and Singapore. When looking for a VPN service, you want quality, security and features. BlackVPN, which is based in Kowloon, Hong Kong, can offer all those things and more, making it a good choice for many people who need a reliable VPN. They have been rated as one of the most reliable and fast VPN services, and have 100Mbit and 1000Mbit connections. "High speed connection and security in lieu of transparent and user-friendly product"
I love their high-speed connection. It's great to be secured without making your connection slower. BlackVPN offers unlimited bandwidth, so I have no problem with uploading and downloading big files. Also, they have a good security level and provides AES-256 encryption, which makes your data undecryptable. The company also has a no-log policy, so I can be sure my browsing history isn't kept. I would not say I like the design of the interface. It doesn't look transparent and isn't user-friendly. It's challenging to set up it and establish a connection. Also, the pricing isn't competitive and it's why I switched to another product. If you are thinking about using it, I recommend you to try the trial first. BlackVPN has many robust features, but you need to be sure that you can use this interface. Anyway, I think there are better products to consider on the market. I am a freelancer and work a lot in restaurants or cafes. I am often connected to public WiFi, so I need an extra layer of security to protect my data. I have many sensitive data on my computer, so I cannot make it easy to steal. "BlackVPN - The VPN you need to use." The biggest adventage of BlackVPN is high-security level. They use military-grade encryption methods like AES-256. This makes me sure that my data isn't possible to decrypt. Also they are a company with no-log policy. It means that they don't record my internet activity and DNS logs. Next good thing is that I have the same ID as other users, so I am not trackable. The most important disadventage is a lack of Internet Killswitch. If I lose connection with VPN, it doesn't automatically cut off of the internet. If you care about security when using an open network, you should consider buying blackvpn. I use BlackVPN to get extra layer of privacy surfing the internet. I am engaged in politicial activity, so I need to secure my internet data well. Also it's very useful, when I log on my encrypted mailbox or bank account, because it makes my sure my password won't be stolen. "Black VPN - Review "
BlackVPN makes you unvisible in the web. It allows you to connect up to 7 simultaneous devices to one account! Also they don't save any logs or your real IP which can make you feel safe because you are. You also get unlimited bandwith and servers switches. By NAT firewall it blocks all the traffic you don't want. Their servers are specially dedicated to work with BlackVPN. It works with Windows, macOS, Linux, iOS and Android. You can configure it even on your router! You got 3-days trial and you have also 14-day money back guaranteed! In my opinion BlackVPN has some disadvantages. One of them for sure is its user's interface. It is a real disaster to navigate on this software. It looks so old like it hasn't been updated since 2005. Another thing I still cannot believe is if you want to use UK or American's servers you have to pay than to use European's. It's not a good move. If you are thinking about using this software I really recommend you to try 3-day trial first instead of just buying it. It's all to see if you can use it or is everything clean in the UI and user experience is as you predicted. All of my company members are using this software on their PCs at work and I realized they are not scared of doing dozens of researches because they know nobody will notice their presence. "Black VPN Review By Carlos"
I like that for this low price you get a good basic VPN. The only feature that I miss is the kill switch. BlackVPN has its own client, which works very well and you can also use it with OpenVPN. the support site does not have installation guides for Windows; In fact, the only guide I've found is on YouTube. Second, I opened a ticket (id 20419) on September 1, 2018 and I still have not received a response. The only answer has been through the chat line and that took more than an hour. I would recommend BlackVPN for people looking for a cheap and good VPN. Thanks to BlackVPN, it offers access to blocked sites and I can connect securely to network access points. I can also use the Internet without worrying about the loss of the IP address. BlackVPN has a solid encryption and fast speeds. Using this VPN I had no problems with the speed of the link and I felt safe. Additionally, it does not have a logging policy, which makes us feel even safer. The number of servers is sufficient and there should be no problems with it. Also very good customer support deserves praise, which is very nice and responds quickly to our questions. BlackVPN does not have many disadvantages. One lack of client availability on many platforms. An important disadvantage of this VPN is the lack of killswitch. Speed and safety describe BlackVPN perfectly. However, the biggest drawback - lack of compatibility with many platforms - is not satisfactory. After improving this, this VPN would be recommendable. Thanks to BlackVPN I can safely use wifi hotspots without worrying about address leakage. Black VPN is a very easy to use software. Additionally, it supports strong encryption, which makes it work very well. Another advantage may be that you don't need to log in to it, so we can remain as anonymous as possible. In addition, in case of any errors or faults, we can be helped by a very good quality support. In this software the price/quality ratio is very good. The main drawback of Black VPN is the low speed of some servers, so files are slow to download. Another disadvantage is that in a cheaper package we do not have access to all locations. Buying a more expensive package we have the possibility to use more locations. Thanks to BlackVPN we can easily use the Internet without fear of IP leakage and bypass the regional blockade. "One of the better VPNs out there"
My favorite part about black VPN is its security, it isn't a fraud VPN like some others I have used in the past it has a wide range of countries to pick from which is always very good. The price is very reasonable when compared to the features available it really is value for money. The speeds are also faster than other VPNs. The activation is also very easy and quick. There is no Asian country such as India which limits functionality to a certain extent. The online customer support is pretty average and the widget has some niggles that tend to be a bother sometimes. It provides users with added security which is often required in our industry. When bandwidth is limited it often acts as a crucial source for additional bandwidth. It is expensive compared to the competition, and the plans are a bit complicated. Servers can slow down very much. Despite a few drawbacks, I think it's worth using to feel safe in the network. If you are not convinced of it, you can use a 3-day trial version. Thanks to using BlackVPN, I was able to use the Internet in any place without worrying about the leakage of my IP address. 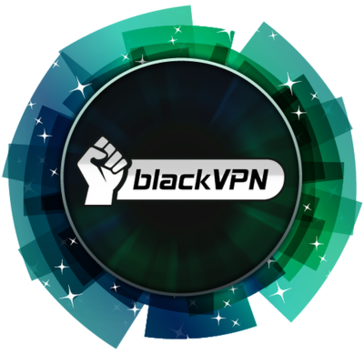 "Black VPN Review By Luzmary"
BlackVPN has a user-friendly logging policy. Encryption is locked-down airtight. And customer support was surprisingly fast. It is also very useful in my company, for different reasons. One of them is the AES-256 bit encryption and the 4096 bit RSA certificates and 31 servers in 18 countries. You could say that it has excellent support. There’s a lot to like about BlackVPN. We were blown away by their customer service (in a good way). Unfortunately, there were a few hiccups along the way. Thanks to BlackVPN I can access WiFi access points without address leaks and avoid regional blocking. "BlackVPN - The best VPN"
Drawbacks are that it has a base in Hong Kong and sometimes server speeds is really slow. This VPN don't kill switch. If you care about data security, this VPN is just right for you. Thanks to BlackVPN I can safely use the Internet anywhere and in the office without worrying about leakage of IP address. What is in my opinion a plus? + Works on Windows, MacOS, Linux, Android, iOS, routers. I recommend it very much if you care about safety and speed. I have access to blocked sites and can securely connect to wifi hotspots. "BlackVPN - The best VPN at this price"
BlackVPN offers several protocols to choose from and Strong encryption. It has a very nice interface for windows and for smartphones.Flexible payment plans and payment options are an additional advantage. If you want access to more locations, buy a more expensive package. Thanks to BlackVPN I can safely use the Internet outside my home and also in the office without worrying about ip leakage. "Black VPN is a great VPN solution for any company"
* We monitor all Black VPN reviews to prevent fraudulent reviews and keep review quality high. We do not post reviews by company employees or direct competitors. Validated reviews require the user to submit a screenshot of the product containing their user ID, in order to verify a user is an actual user of the product. Hi there! Are you looking to implement a solution like Black VPN?